The keynote will be presented by Antoon Pelsser on Wednesday May 23 at 3.30 pm. Please save this date in your calendars! Antoon is a Professor of Finance and Actuarial Science at Maastricht University and a research fellow at Netspar. His research interests focus on pricing models for interest rate derivatives, the pricing of insurance contracts and Asset-Liability Management (ALM) for insurance companies. He previously held positions as Erasmus University in Rotterdam and the University of Amsterdam. He has published in leading academic journals including Mathematical Finance, Finance and Stochastics, Journal of Derivatives, Insurance: Mathematics and Economics. He is on the editorial board of ASTIN Bulletin and International Journal of Theoretical and Applied Finance. He is an Honorary Fellow of the Institute of Actuaries. Besides his academic career, he has also worked in the financial industry. From 2004 until 2007 he worked at ING Group’s staff department Corporate Insurance Risk Management. There he was involved in implementing a new internal model for measuring Economic Capital for ING-Insurance. From 2000 until 2004 he worked as Head of ALM for Nationale-Nederlanden. Before that, he worked 7 years in the dealing-room of ABN-Amro Bank in Amsterdam, where he was responsible for the development of pricing models for derivatives. The official invitation will follow soon, so watch your Inbox and/or the TopQuants homepage. As usual, the event concludes with drinks and a buffet for all participants. This provides ample opportunity for informal discussions and networking. 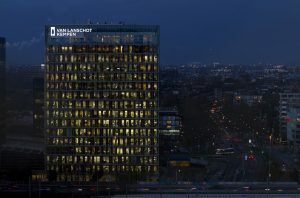 The event will be hosted by ING at their Amsterdam Zuidoost office. Participation is free of charge, but advance registration is required and places may be limited. A more detailed program will follow soon. that an invitation to them can be sent later.